Wax impregnation for garments in G-1000 fabric. Rubbed on and melted in for a water resistant and durable surface. 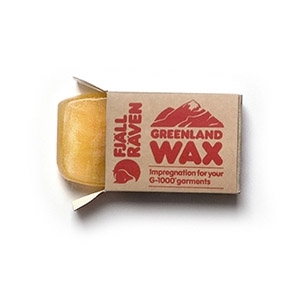 Made from high-quality paraffin and beeswax, which makes Greenland wax more gentle towards both people and the environment than chemical-based impregnation. A wax block of 100 grams will be enough to wax about ten garments.